The decision by Italian voters to reject constitutional reforms in a referendum on December 4 was not a shock, Most analysts could see this coming and markets expected a “no” vote. However, markets are now wrestling with the consequences of a no vote, and the fallout from that is much less clear. 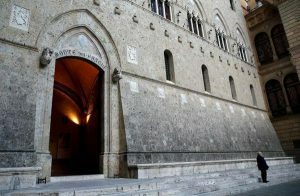 The immediate impact is to derail the planned recapitalization of Banca Monte dei Paschi di Siena (BMP), the oldest bank in Italy and the one most in distress. The recapitalization depended on government actions including a selective bail-out of certain retail bondholders. But, when the referendum was rejected, the government of Prime Minister Renzi resigned. Currently, there is no government with the mandate to offer the needed bail-outs, so the private investor recapitalization has been pushed to one side. This article talks about how the danger now is that BMP’s rescue could involve large loses for the retail bondholders. That could cause a loss of confidence in other banks, such as UniCredit. If the wildfire spreads from there the panic could hit DeutscheBank and ultimately cause a global liquidity panic. Right now banking officials in Europe are downplaying the chances of a wider panic, but the threat is very real and bears watching. The best strategy in this situation is to increase your allocation to cash so that you can preserve wealth if a panic hits, and find bargains to buy after the panic is over.